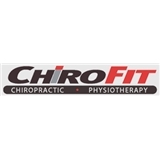 ChiroFit: Chiropractic & Physiotherapy (Barrington) - Book Appointment Online! Welcome to Chirofit Barrington, Illinois' premier chiropractic and physiotherapy center. At ChiroFit, we are passionate about helping the community reach optimum health levels by improving spinal and central nervous system function through chiropractic care. Our state of the art facility is like no other. Our experienced doctor, chiropractic assistants and rehab equipment are only a few of the things that make ChiroFit so unique. Our Barrington office incorporates a friendly and energetic staff along with a comfortable atmosphere that makes wellness a truly inspiring adventure.